This will appeal to all that enjoy seafoods and fun. 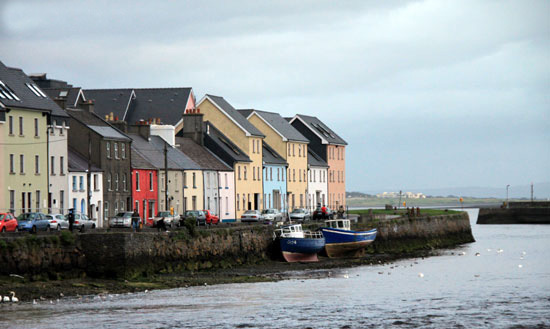 The weekend activity is built around the Galway international Oyster festival. This 3 day break in the ‘City of the Tribes’ also includes a guided tour of the medieval city of in the company of a professional archaeologist. 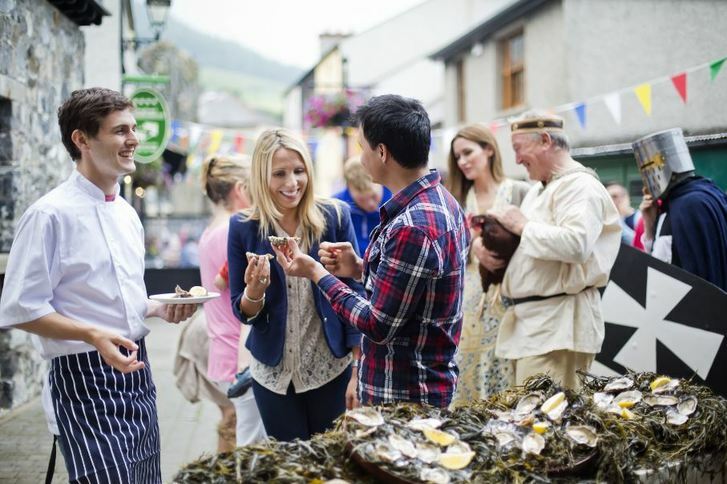 Established in 1954 the Galway International Oyster And Seafood Festival has welcomed over half a million visitors and consumed more than 3 million oysters- many of those washed down with Guinness and champagne while listening to some of Ireland’s best musicians. The small bustling city of Galway on the edge of the Atlantic has been voted the world’s friendliest city and for one weekend in September each year the Oyster takes central stage. Attendance at the World oyster opening event, the masquerade ball and a guided tour of the medieval city of Galway are included in this event. Our trip includes collection and return to Shannon Airport (if required), accommodation in a city centre hotel, and the services of a professional guide throughout. At your leisure book into your city centre hotel and take time to explore the narrow medieval streets. 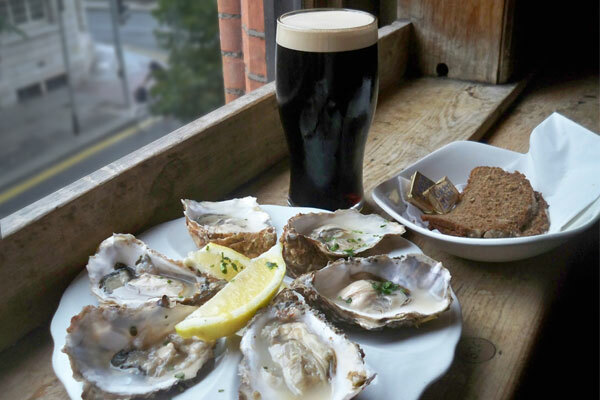 Drop into a local bar for a pint of Guinness and some local oysters. Or settle into a bar stool and sample a traditional Irish music session. Galway, ‘The city of the Tribes’, is small enough to walk around at your leisure and is blessed with a number of excellent dining options. Walking time: As much or as little as your heart desires! Oysters and Guinness – a classic combination! Your professional archaeological guide will meet you at your hotel and take you on a tour of the medieval city. The tour traces the history of the city through the legends, architecture, waterways and archaeology. The tour ends at the bustling street market held weekly outside St. Nicholas’s Medieval Church where Christopher Columbus stopped over on his infamous discovery of America. In the afternoon or evening attend oyster festival events such as the world oyster opening completion or the Masquerade Ball. 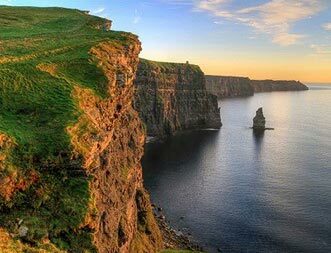 After the cobwebs have been cleared (not too early) you will again be collected at your hotel and brought on a guided tour of the Burren and for a visit to the world famous Cliffs of Moher, before returning via Shannon (if required) and onwards to Galway City.